Born Ruby Jean Butler, her parents were Nellie Simon and George Butler. Ruby had mixed Jamaican, Mexican, and Native American ancestry. Her father was a janitor, minister, school principal, and entertainer, and it was he who inspired her to go into acting. Ruby's trademark was her high-pitched voice which rose even higher when she was excited. That voice later served her well as an actress in movies, radio, and television. Usually playing comic, befuddled maids, all Ruby had to do was open her mouth and audiences would break into hysterics. But the real Ruby Dandridge was anything but flighty or absent-minded. She was a strategist and a survivor who possessed a sharp and calculating mind. Ruby was a woman who could quickly read a person or situation and then manipulate them to her advantage. Ruby married Cyril Dandridge in 1919, a union that was not happy. They lived with his mother and he did not have steady work to support them. Less than two years after they married, their daughter, Vivian, was born in 1921. The birth did not make their marriage better or settle the tensions in the home, and Ruby left. Still wanting his marriage to work, Cyril persuaded her to come back home and, even though Ruby was five months pregnant, she decided to leave her husband again, this time permanently. On November 9, 1922, Ruby gave birth to her second daughter Dorothy. After her divorce, Ruby Dandridge had a lesbian relationship with a woman named Geneva Williams who managed Ruby's home and children. While training the children for a career in show business, Geneva often pushed them too hard and punished them harshly. Once Geneva took responsibility for the children Ruby was indifferent to her children and never seemed to notice how harsh Geneva was towards them. Ruby Dandridge never played a lead role and most of her movie appearances were brief and often uncredited. One of Ruby's first movie roles was as a native dancer in King Kong (1933). 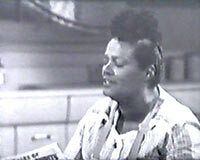 Ruby provided the voice for the mammy character in the cartoons Coal Black and de Sebben Dwarfs (1943), and Goldilocks and the Jivin' Bears (1944). 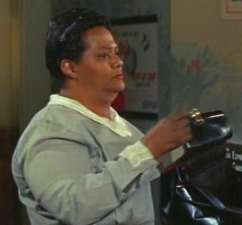 Also in 1943, Ruby Dandridge played "Mrs. Kelso" in Cabin in the Sky and "Hyacinth" in Corregidor. In 1947 she played "Mabel" in Dead Reckoning and "Sally" in A Hole in the Head in 1959. 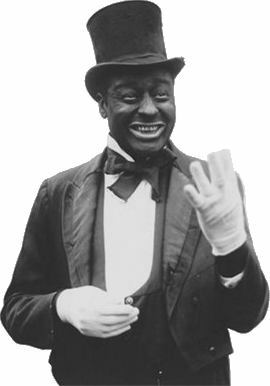 Ruby was a popular character on the radio version of Amos 'N Andy and appeared in 3 episodes of the television version. 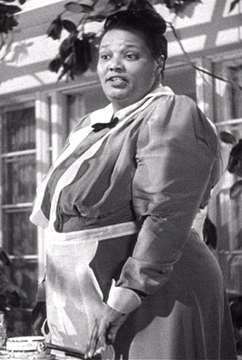 She also played a maid from the house next door and a friend to television's Beulah. Ruby Dandridge in "A Hole in the Head"
Ruby Dandridge died of a heart attack at the age of 88 in Los Angeles, and is buried next to her daughter, Dorothy, at Forest Lawn Memorial Park.